When I was a kid and growing up in Belgium my Dad was the only one eating this piccalilli sauce (also known as mustard pickles). He would take it in a small jar and eat it with his sandwiches for lunch. Mom and I never ever wanted anything to do with it. Once we came to Canada Dad couldn't find the piccalilli sauce that he was used to so one day he had this brainstorm, he was going to perfect his own and that way we would like it too. (in those days nothing would make me even try let alone like it). Now-a-days just give me a full jar and a fork and I'll do a magic trick...I'll make it disappear at the snap of a finger). In the summer when the garden was producing all the ingredients Dad would make it from scratch with every kind of vegetable that he grew in the garden in it. He would blanch, brine all the veggies and then let it sit for exactly 30 hours... then jar it and make a hallelujah mess for Mom to clean up. That recipe is really good but too much hassle even for me. Late in the fall he would make my favorite one. 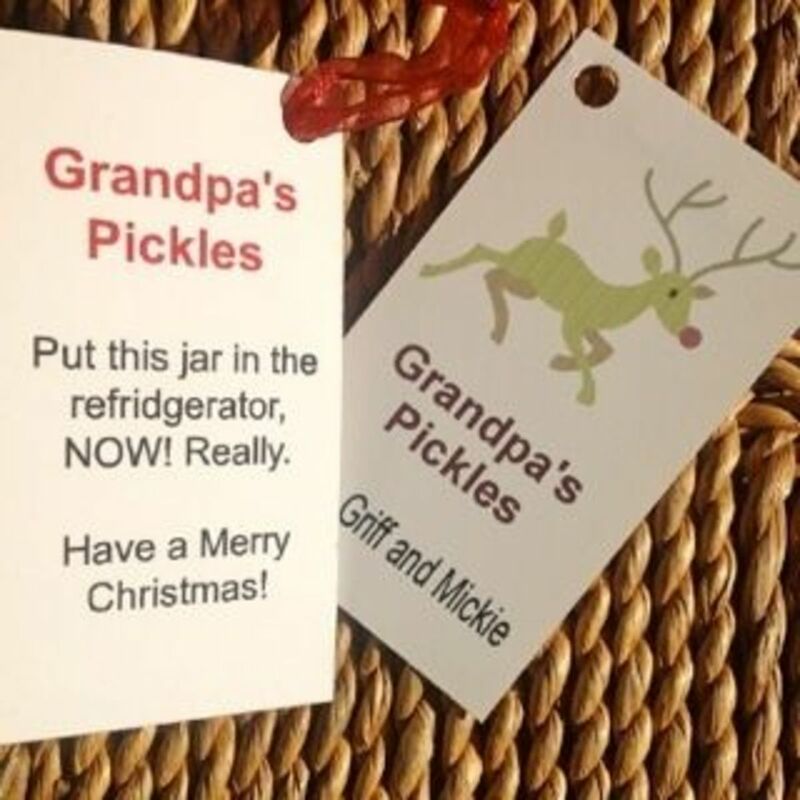 In this one he would combine all the different types of pickles that Mom had made during the summer and fall add prepared French's mustard and a pinch of this and that. The best part that within a few hours it was ready to hand Zsuzsy the jar with the fork. 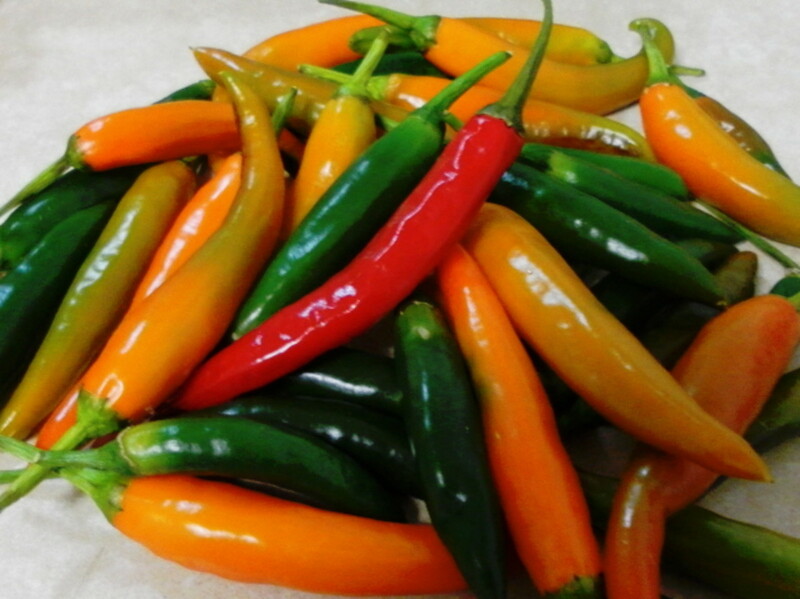 If you use pickled veggies that have been ready for a while either homemade or store bought it only takes a short time to make. You can make it in the morning and serve it at night with dinner however for the perfect melded tastes to come through do not do like me and start taste testing a jar each day wait about 6-7 days for the piccalilli to mature. Serve it with cold meats and cheese at Christmas. I line up the veggies from the sauce on my hot dog. Or try it with a German Octoberfest sausage or a Dutch bock wurst and just add a bit of sauerkraut if you like it that is. As I'm planning on adding piccalilli jars to my Christmas giving baskets I'm combining full 1 liter/quart sized jars of pickles but if you want to just make a few jars for yourself (you can't just make one jar because it will not be worth it... it will be gone before you get to check out the taste in the 5-6 day maturing time) use equal amounts of pickles as I mentioned before use either home made or store bought. bottle into hot sterilised jars with plastic lined metal lids and process it for about 5 minutes just enough time to get the jars to seal. You can skip this step if you're only making a couple of jars to eat immediately. This stuff will last forever in the fridge mustard being a preservative etc. leave for 5-6 days to mature in a dry, dark place check occasionally to make sure the jars sealed properly. Serve with cold-cuts, cheeses, sub-sandwiches (hoagies) or hot dogs, absolutely super with a pork roast or even pork chops. Hiya Juliette how are you? I'm going to wait with making my new batches until the weather cools down a bit. Probably the end of the month. good luck with making yours. Let me know how you like it. 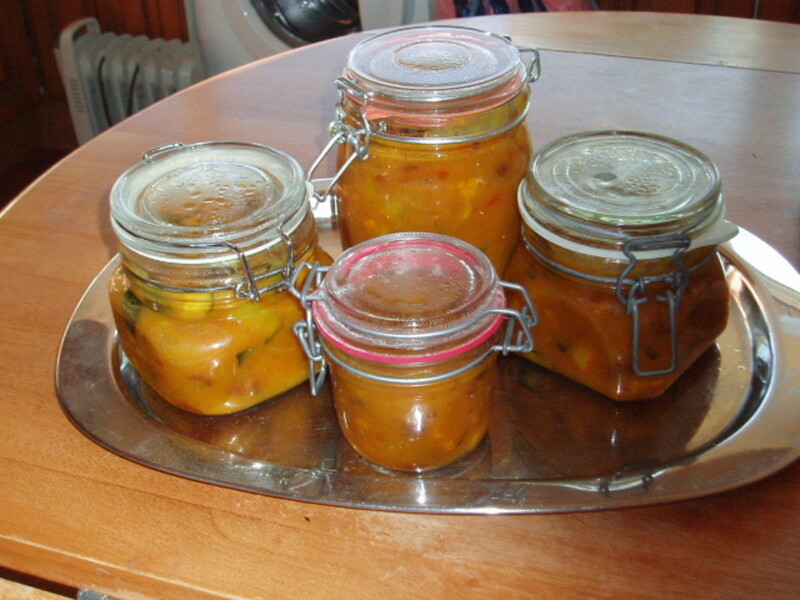 Perfect - I just love picalilli with spam fritters (home-made) and in UK it is in abundance in jars but there are varying standards so home- made recipe is exactly what I searched for here and found - thank you, will try to let you know. Truth from Truth, thank you for coming by and taking a look and for commenting. This sounds good, I will give it a try, Thank you. Habee I'll be looking for that Chow Chow recipe. I'm not too fond of the one I have. I think my hubby wouold love this! And it reminds me - I need to write a hub about my chow-chow recipe! Ralwus the good thing is that if the techno crap didn't work a while back it will eventually fix itself or whatever it does. Dam it Bee, I am ticked off. I was here this morning and my comment on this did not take. Neither did the ones on other hubs. I couldn't even rate it or bookmark it. grrrrr Anyway, I never knew about this name for it, but I love it so. Thanks for sharing, now I will bookmark it as it seems to be OK now. I hope. Merry Christmas now and be safe and warm, and don't eat too much. Ben that is so funny because I remember feeling the same way when I was a kid.I guess our taste-buds change because now as I said in the hub give me the jar and a fork and I'm a happy camper. I love it that you passed on some of my Dads story. While waiting an hour for our fish fry tonight, I told my girls about your Dad's Piccallilli sauce and they were thoroughly grossed out! LOL, but they were the same way about sushi but I dragged them kicking and screaming into the Ikura and now they love it. So it's only a matter of time ZB, only a matter of time! Anyway, I thought you would be glad to know that the legend of the Piccallilli sauce lives on!!! Ben, always glad when you stop in for a visit. The flour in the recipe is to compensate and thicken up the 'mustard sauce' because all the pickles are so saturated with vinegars. About the hallelujah mess well, my Dad was great for that he loved to cook four times a year. Mom used to tease that she didn't have to make a special schedule to spring clean her cupboards and pantry because she did it four times a year...whenever Dad came up with a super duper recipe that he needed to try. He then would use every possible pot, bowl, dish and cutlery available in the pantry. Kathy I believe Piccalilli originated in England but it has Indian roots. I think in the US its more known as mustard pickles. I hope you have a chance to try out the recipe. My daughter and I are pickle fiends and we also hit the giardinaire pepper sauce hard here too, piccallilli is new to me, I can't believe there's flour in there too! My mouth was watering by the end of the article. Don't quite have the means to make this yet but I'm book marking it to come back to later! Thanks for the personal touch, unique article Zsuzy! Also, I enjoyed, "jar it and make a hallelujah mess for Mom to clean up" made me laugh! Never heard of piccalilli sauce before, sounds like a lot of other people have. Always great to hear about new foods and where they originated from. Thanks for your post. cookeaze, thank you for taking a look and commenting. This is adorable!!! Great work.Thanks for sharing your talent. Lovegg, thank you for taking a look and commenting. Paradise always pleased when you stop in. I think both mustard pickles and piccalilli are one and the same. I hope you have a chance to try out the recipe. Laura you're very welcome. As far as I'm concerned home-made is the best. Cool deal. 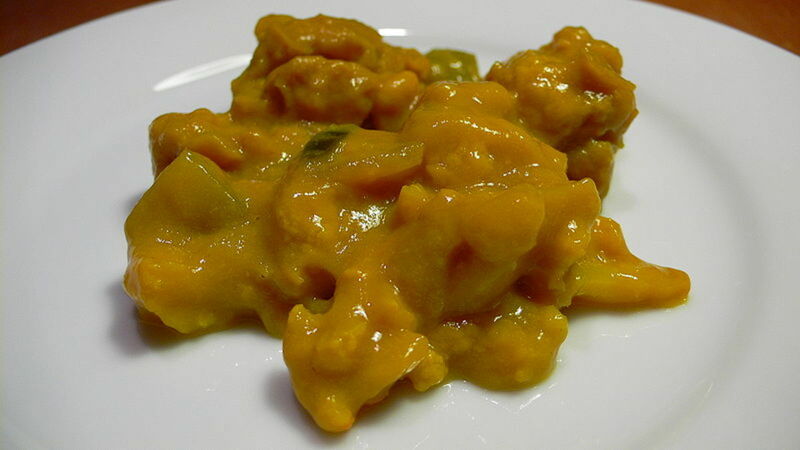 I love mustard pickles, but have never tried Piccalilli Sauce. Seems like I'm about to-THANKS! Thanks for another great recipe. I love Piccalilli Sauce and home-made is always better than those bought at the supermarket! Thanks Zsuzsy. G! Always glad when you pop in for a visit. This is awesome let me know how he likes it. Mind you because this recipe uses the bread and butter pickles (which are a sweeter pickle) and some brown sugar it has a slightly sweeter undertone then the original styles that I remember from Europe. Do let me know how hubby likes your creation. Other then it being the day when everyone points out that I'm another year older I'm fine. This is fantastic Zsuzsy Bee! My husband is British and loves this stuff! We always go to a British store to get some.....never thought of ever making it for him! I do not like it at all.....I'm a Branston fan myself (a sweeter sort of chutney). Dohn, I'm not too sure what gardenia is but if its something pickled I'm sure I would enjoy it. If you have a recipe for that, I will try it. mind you whatever the name its mighty good tasting stuff. I've never even heard of this before. The only thing that it resembles from the look of it is gardenia to me. However, I love pickled everything, so I'm sure I'll enjoy this as well!